The Danish National Archives is an institution under the Ministry of Culture. We are about 250 employees spread across the country. Ensure the preservation of documentation of Danish society for the benefit of both the present and the future. The main tasks are digitization, guidance, administering the reading rooms etc. The main tasks are financial management, personnel administration and development, security etc. The secretariat handles key tasks in the Danish National Archives, focusing on support for senior management. 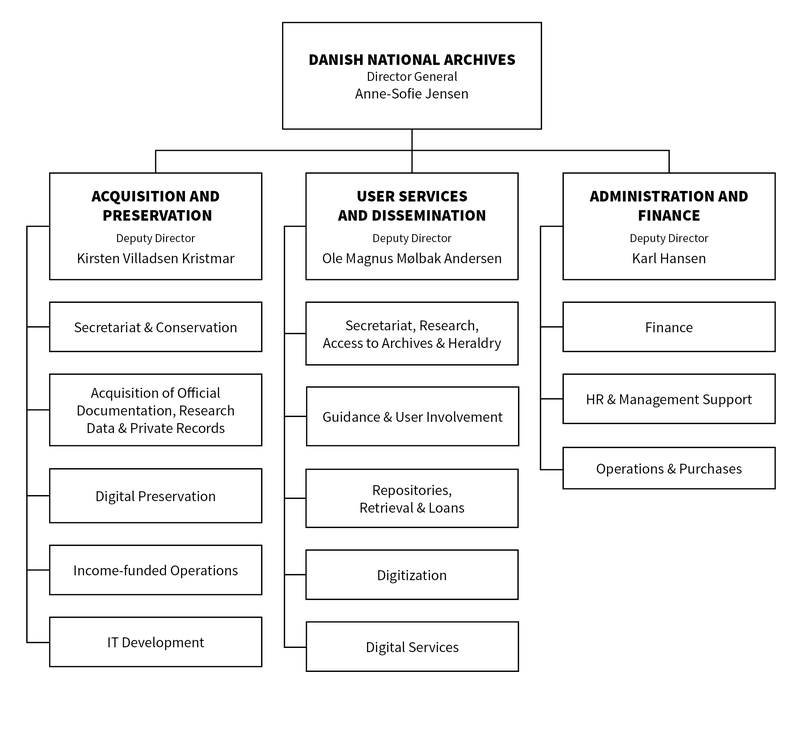 The senior management of the Danish National Archives consists of the Director General and three Deputy Directors.